High-achieving low-income students too often don't know that they have a good chance of getting into--and affording--an elite school. Around the country, high-achieving recent high school grads have unpacked their shower caddies, flip flops, and smart phone chargers, and begun to settle in at elite colleges like Columbia, Amherst, and Stanford. On campus they’re discovering countless resources, bright peers, and illustrious faculty. And for the rest of their lives, they’ll enjoy the benefits of having a top university tattooed across their transcript and resume. But many high-achieving students are left out of this experience. Those excluded come disproportionately from families on the lower rungs of the socioeconomic ladder. 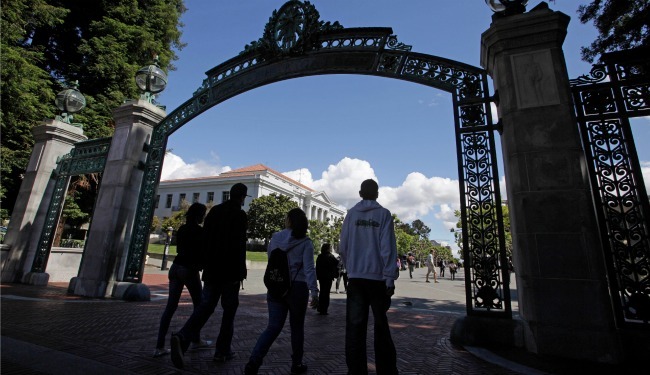 One recent investigation reported that students from the bottom 50 percent of the income distribution comprise just 14 percent of the undergraduate population at the United States’ most competitive universities. To find out why, I recently interviewed Karen (whose name I’ve changed for privacy reasons) as part of a study of 900 American public high school valedictorians and their college choice process. By all measures, Karen was a terrific student. In addition to graduating first in her class, she scored in the top one percent of seniors nationally on the SAT, earning a perfect score on one of the sections of the test. She was impressive outside of the classroom, too. She led more than one of her school’s academic teams and played in the band. She also grew up in a family where money was tight, so she held down a part-time job assisting the elderly and worked seasonally in agriculture. Karen could have attended one of the nation’s top universities. She had the grades. She had the scores. She had the extracurriculars. She even had the type of work experience that stands out in an elite college’s applicant pool. Moreover, she grew up in a family where no one had ever attended college. Based on her record and background, many elite universities would have been happy to accept her. And based on her parents’ income, many even would have let her attend for free. But this top student went a different route. She enrolled in a local, less selective college that charged her more while providing fewer resources. Karen’s story is one of many. Throughout the country, high achievers enroll in colleges that don’t match their academic credentials. These students are smart and hardworking, and one might expect them to do well wherever they enroll. But research shows they are more likely to excel—and excel at a higher level—if they attend an institution where their classmates are similarly accomplished. Specifically, they are more likely to complete their bachelor’s degrees, go on to graduate school, and enjoy higher earnings. Furthermore, the magnitude of this advantage is far from trivial. Poorer top students are less likely to apply to America’s best universities for a variety of reasons. To start, high achievers throughout the socioeconomic spectrum receive insufficient, impersonal guidance about colleges from their public high schools. Valedictorians in my study reported that their schools primarily provided information about college options and the college admissions process to students en masse. As a result, valedictorians learned mainly about the in-state, public colleges that their high school’s graduates most frequently attended. Valedictorians struggled to get a one-on-one meeting with their often overstretched counselors, and even in these meetings counselors did not refine the college options they discussed to take into account the glittering achievements and tremendous potential of the top student before them. Counselors rarely suggested that valedictorians consider out-of-state or private colleges—and hardly ever mentioned elite universities. And when valedictorians took the initiative to ask about these options themselves, they all too often faced counselors who were uninformed and who sometimes even tried to steer them away from top institutions. Even when poorer families suspect college quality might vary, they have difficulty assessing it. And without a clear way to compare institutions based on quality, poorer families concentrate on sticker price. Many valedictorians from lower socioeconomic backgrounds took one look at a college’s price tag and were immediately scared away from even applying. Karen’s father recoiled from private colleges’ list prices, which were higher than his annual income. And while Karen was confident she could be admitted to institutions with large price tags, she concluded there was “no point in applying” since she didn’t believe her family could foot the bill. Families eliminate good college options because they don’t understand the extent to which need-based aid can reduce their actual costs. Karen admitted that she was “totally clueless” about financial aid. She was not alone in feeling this way. More than half of the valedictorians I surveyed who applied for financial aid reported that they did not have a strong understanding of the financial aid process by the fall of their senior year. And some families who would have qualified for aid were so misinformed that they did not even explore it as a possibility. Numerous families did not know that at some elite institutions, households earning less than $200,000 a year do not pay full price, and those earning less than $65,000 pay nothing at all. When I asked Karen why she did not look into more selective universities given her stellar credentials, she replied, “Maybe just because no one told me to consider anything else. I don’t know. That’s what I knew.” Lacking outside guidance, many top students explore potential colleges by investigating only institutions that are already familiar. The problem is that social class shapes the types of colleges that students know. Poorer valedictorians may have heard of large, prominent universities like Harvard and Princeton, but compared with their wealthier peers they were aware of far fewer elite colleges overall. In addition, poorer top students have difficulty envisioning themselves at prestigious universities. Valedictorians expressed concerns that top colleges would be too far from home, too academic, too intense, and not allow for a social life. Those who held these apprehensions tended not to have a student or alumnus from an elite university in their social network. In contrast, those who knew someone from a prestigious institution were more comfortable with the idea of attending a college farther from home and were less likely to think that the undergraduates at these institutions were out of their league academically or lacked time for fun. All too often, however, poorer valedictorians were less likely to know someone from a top college. Clearly, this process is failing many of the best and brightest students. The current de facto system—which leaves college guidance to families—enables social class to have an unnecessarily strong influence on where top students apply and thus where they ultimately enroll. And because alma mater affects students’ lifelong educational attainment and job prospects, this system allows the advantages—and disadvantages—of one generation to be passed on to the next. As a result, America’s social hierarchy is perpetuated rather than restructured based on the achievements of the new generation. Ensuring that students and their families have access to the tools they need to be informed college consumers can help fix this problem. The availability of need-based financial aid for families across the socioeconomic spectrum, including middle- and even upper-middle-class families, must be better publicized. Furthermore, families should assess a college’s affordability based on its net price—the price paid after financial aid—rather than its sticker price, and the net price calculators now required on colleges’ websites can help them do so. Also, in weighing a college’s overall value families should look beyond cost and consider graduation and employment outcomes as well. The U.S. Department of Education is trying to foster such thinking through its new college scorecard, though providing employment data is still a work in progress. In addition, public schools should replace one-size-fits-all college counseling with quality, tailored advice based on students’ academic preparation. Finally, colleges should improve their outreach to less affluent students so that these students become familiar with—and feel more comfortable applying to—colleges that match their achievements. While there are initiatives, organizations, and colleges pursuing some of these strategies, the U.S. has yet to adopt a systematic approach. Until it does so, top students who have earned their place at the best colleges—and who would thrive from attending—will continue to slip through the cracks. Alexandria Walton Radford is an associate program director for postsecondary education at the nonprofit research institute RTI International. She is the author of Top Student, Top School? How Social Class Shapes Where Valedictorians Go to College.